... while the inside explodes with color! ...and that's just how Carol likes it. 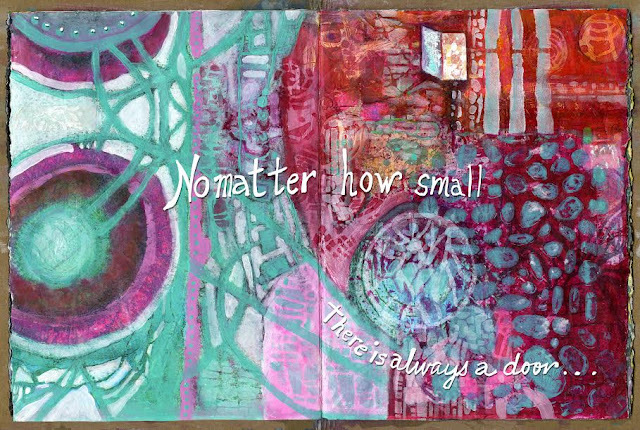 Here is another page from Carol's journal and you can see other stencils she created for StencilGirl by clicking here. What is at the top of your tower? 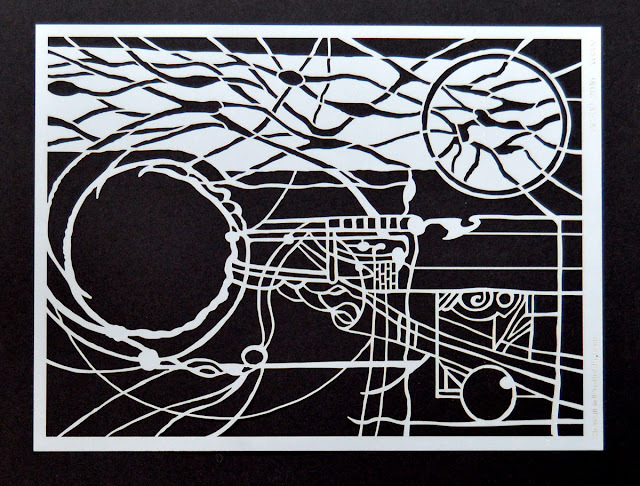 If you order on January 1 through 14 you will receive the January stencils. 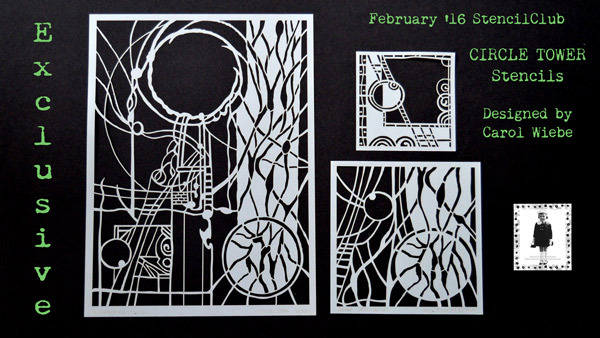 If you sign up after the 14th you will receive February's stencils. These are wonderful! I cannot wait to use them! Wow! Wow! I love these Carol and absolutely loved hearing your presentation. As I watched, sipping my coffee I thought what a creative inspiration you are. 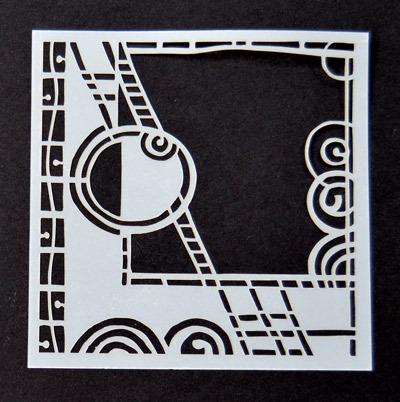 Carol, these stencils are SO, SO pretty -- the designs are nothing short of genius! 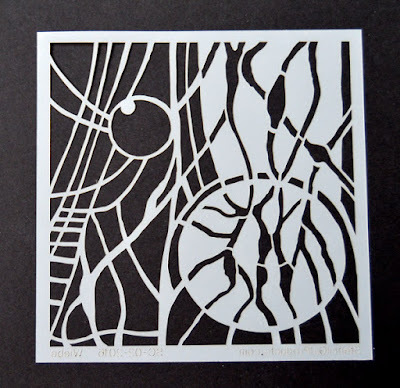 The stencils remind me of stained glass windows ... I can't think of any higher praise! Carol, you are too much fun. And I should have known we share a love for Leonard Cohen. His lyrics are so fantastic, and Hallelujah is one of my all time favorite songs. Gorgeous, gorgeous, gorgeous! Love circles, love lines, love Leonard Cohen, so it was guaranteed that I would love these stencils, and I do! Well...I am so glad I watched your video. I know for a fact that Stencil Girl is helping artists' dreams come true. Thank you! Carol!! OMG! I fell in love with these stencils the second I saw them! And I Love, love, love the soul called Leonard Cohen!! I am listening to him as we speak, the very album. And, I love your poem! Everything works as one! Is it possible to get a copy! 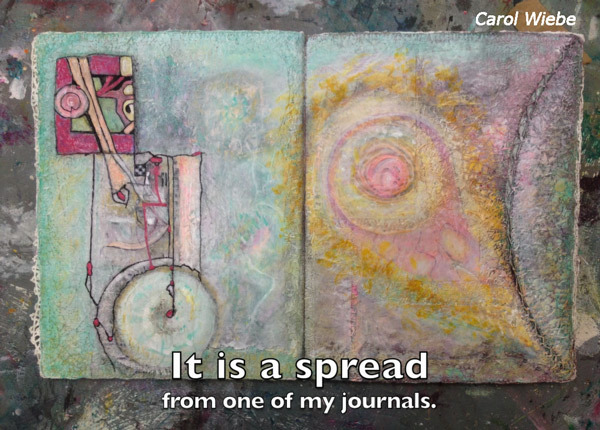 I am also a kid in my sixties, discovering the freedom to create and loving every minute of it. I've missed so much over the years, but I'm here now! Oh my! Can't wait to get these! ;) Loved the poem, too! 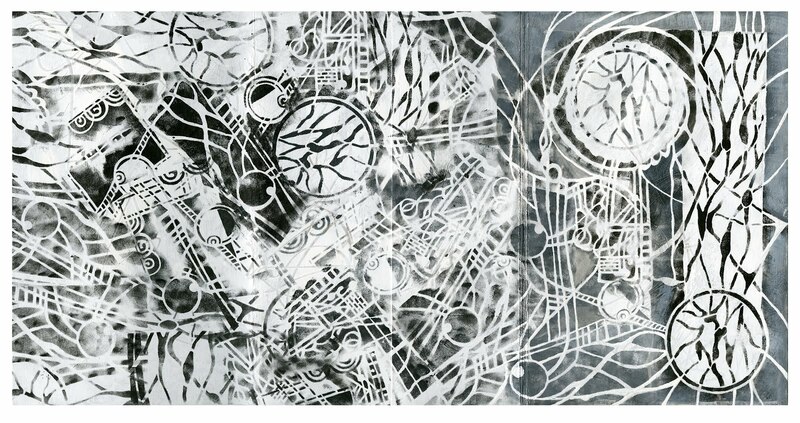 I stumbled into such a great online group when I became part of StencilGirl! All these comments really touch my heart, and the creativity I will now be part of because of you who use these stencils makes me beam like the MOON!!!! These will really be useful--as well as ornamental!